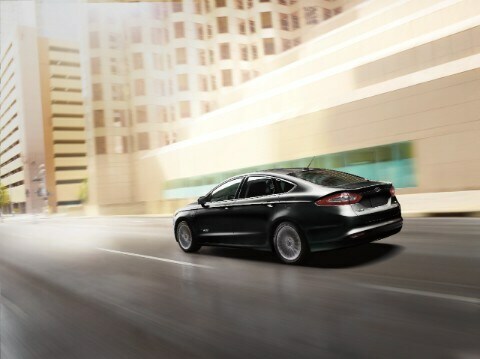 The newest of Ford's models can be found in our inventory at Sheridan Ford. The friendly folks at Sheridan Ford are eager to service the community of Swarthmore and would like to have the opportunity to earn your business. Swarthmore is a borough in the county of Delaware in Pennsylvania. It was named Westdale for a long time in order to honor a noted painter. Swarthmore College was than established and the town was renamed because of it. It is bordered to the north, east and southwest by Springfield Township, to the southeast by Ridley Township and to the west by Nether Providence Township. Crum Creek is also a main tributary of the Delaware River flowing in the area. For residents in the Swarthmore area, we can help you find the right new or used vehicle to meet your needs right from our website. For daily errands or long road trips, Sheridan Ford is sure to have something in stock to meet your goals. Looking for a pre-owned car in Pennsylvania? With our selection you won't need to shop anywhere else. The advantage of shopping with us means you have access to a wide variety of used vehicles from which to locate your dream car. People deserve to be able to afford a vehicle that fits their needs, and Sheridan Ford is here to help. You can apply for your car loan online with our secure finance application form. When we receive your application, we'll look it over and one of our friendly staff will contact you as soon as possible. Folks living near Swarthmore Pennsylvania can benefit from our Ford car repair center, which can help you keep your car running in peak condition. Our experienced staff will assist you in acquiring even hard-to-find car parts and accessories. If you're interested in our service then please arrange an appointment for your vehicle.